Trakdesk allows you to completely customize and rebrand the look and feel of your helpdesk support portal with your own custom logo, favicon. You can also customize your helpdesk support portal header, footer, colors, fonts, text size, buttons, theme and also give your helpdesk a custom name. Under the Logo & favicon section. Select your logo and favicon file. Once you have selected your logo or favicon, it will automatically be uploaded and applied. Once you are finished editing, hit on the Save Changes button to apply your changes. In the event you have made a mistake or would like to revert back to the Trakdesk default settings, you can simply do so by selecting the Restore Defaults button. 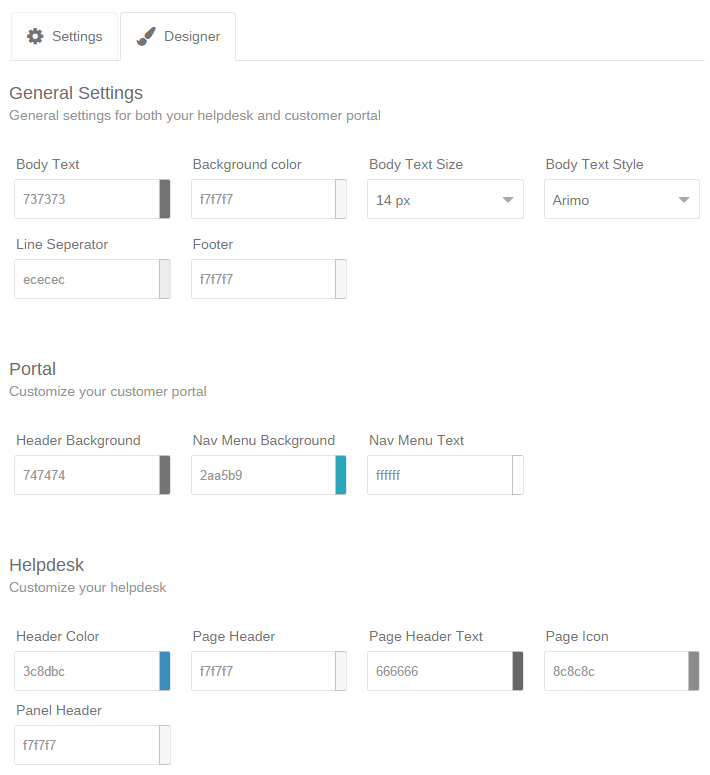 Note: If you would like to perform more advanced customizations to your helpdesk customer support portal, you can do so in the Themes section in the Admin page. This feature allows you to completely modify the underlying HTML, CSS, and Liquid for your helpdesk customer support portal.